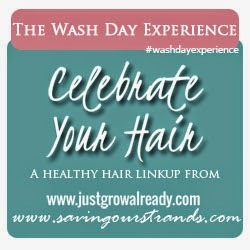 While this wash day was again easy-peasy the theme of it could be "you win some, you lose some." I had no major shedding or any breakage, but I was able to confirm my hair doesn't like air drying. For some reason when I air dry my hair doesn't hold moisture as when I use my hooded dryer. Here are the details. Though I'm only two weeks post, I did section my hair into two sections - one on the left, one on the right. I pre-pooed with a mix of Eden BodyWorks Jojoba Monoi Deep Conditioner, the last of my keratin conditioner and a sample pack of L'Oreal Total Repair 5 Damage Erasing Balm on my hair. On my scalp, I applied a mix of coconut oil and sunflower oil. After applying both mixes I put my hair up in two twists on the top of my head and left it for 40 minutes. Everything felt good after rinsing. To cleanse I mixed Eden Bodyworks Jojoba Moisturizing Shampoo with a little bit of SheaMoisture Black Soap Deep Cleansing Shampoo and diluted it with water. Oh, my goodness. 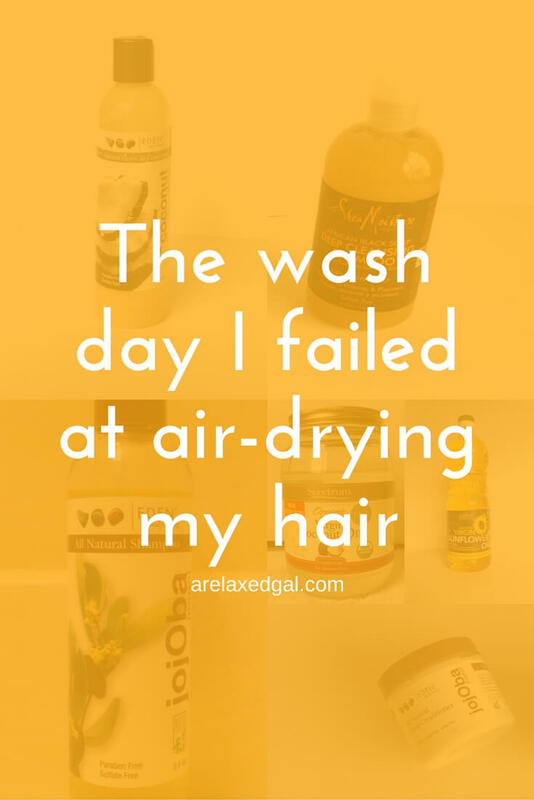 That mix created a great lather and got my scalp and hair squeaky clean, but my hair didn't feel dry. I did a green tea rinse over which I applied L'Oreal Advanced Haircare Total Repair 5 Restoring Conditioner with ceramides. After rinsing I t-shirt dried for about 30 minutes I applied Eden BodyWorks Coconut Shea Leave In Conditioner that I mixed with the rest of the Garnier Fructis Marvelous Oil Deep Nourish. I opted to not use any heat this wash day so I air dried. Once my hair was dry, it felt...well dry. Not overly dry, but enough that I applied some more of the Eden Coconut Shea Leave-In Conditioner. I also have had to moisturize every day since versus the typical every other day or more. Oh well. Can't win at everything. How do you keep your hair moisturized when air drying? I have been eyeing the Eden DC for a while now. How do you like it? I love easy breezy wash days. SheaMoisture Black Soap Shampoo gets marvelous reviews! I take it that you like it too? Maybe a quick co-wash will help you get your moisture back? I do like the SheaMoisture Black Soap Shampoo. It's a great clarifying shampoo. I'm also looking forward to trying their new Black Castor Oil shampoo. I ended up doing a co-wash mid week and it did bring back my moisture (happy dance, happy dance). About L'oreal there was a time way back when that I believed wholeheartedly that some products including L'oreal were not for Afro hair hahaha I blame my naive ignorant way back when self. I was the same way. Now that I have a better understanding of ingredients and what my hair likes and doesn't like, I'll at least consider brands I wouldn't before. Thanks for visiting. I love the motto! It took a long while for me to get the hang of air drying. I got it down now but there's no denying that my hair prefers heat styled better. The funny thing is I love the thickness and texture I get when I air dry. I just haven't figured out the formula for keeping my hair moisturized when I do. Thanks for visiting.